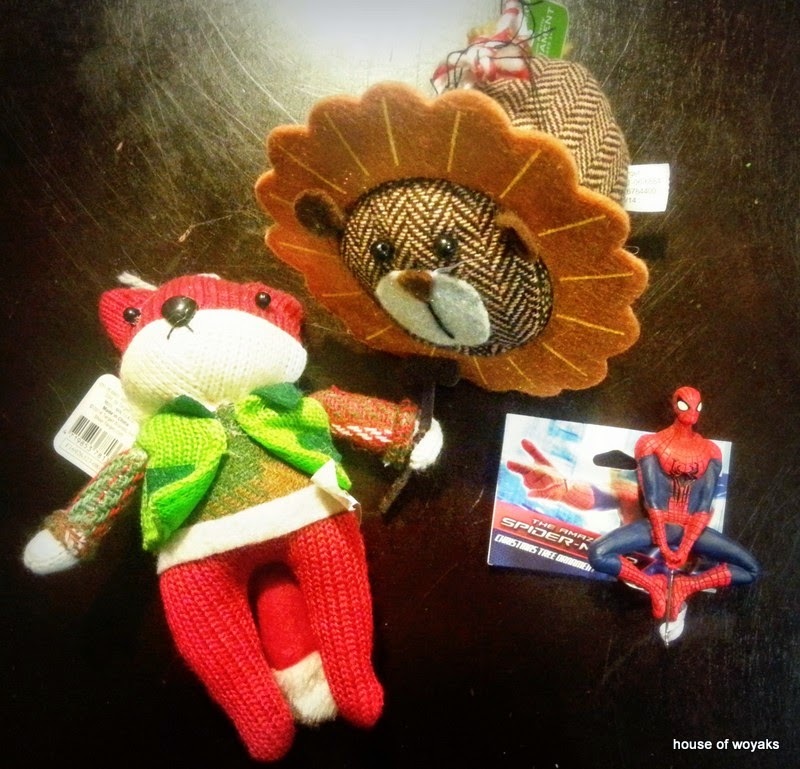 House of Woyaks: 7 Quick Takes: Catan Obsession, St. Nick, Tree Trimming, and more! 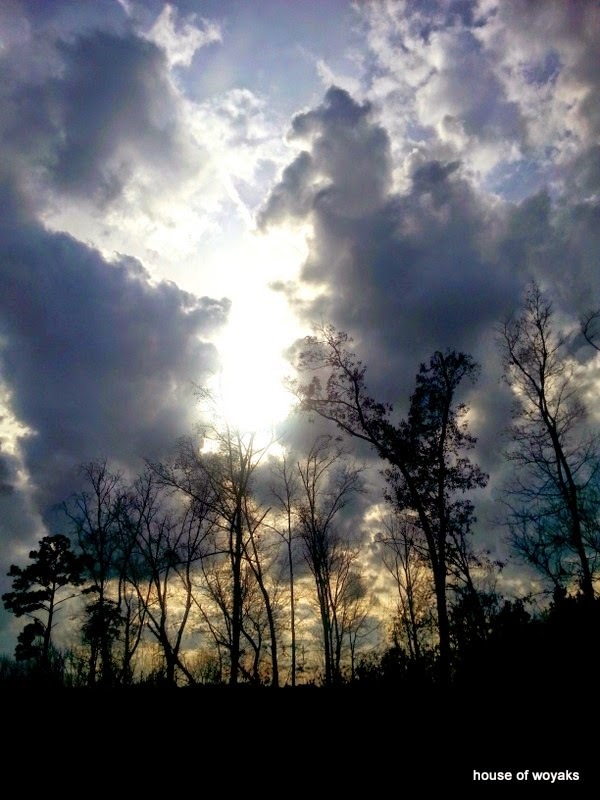 7 Quick Takes: Catan Obsession, St. Nick, Tree Trimming, and more! 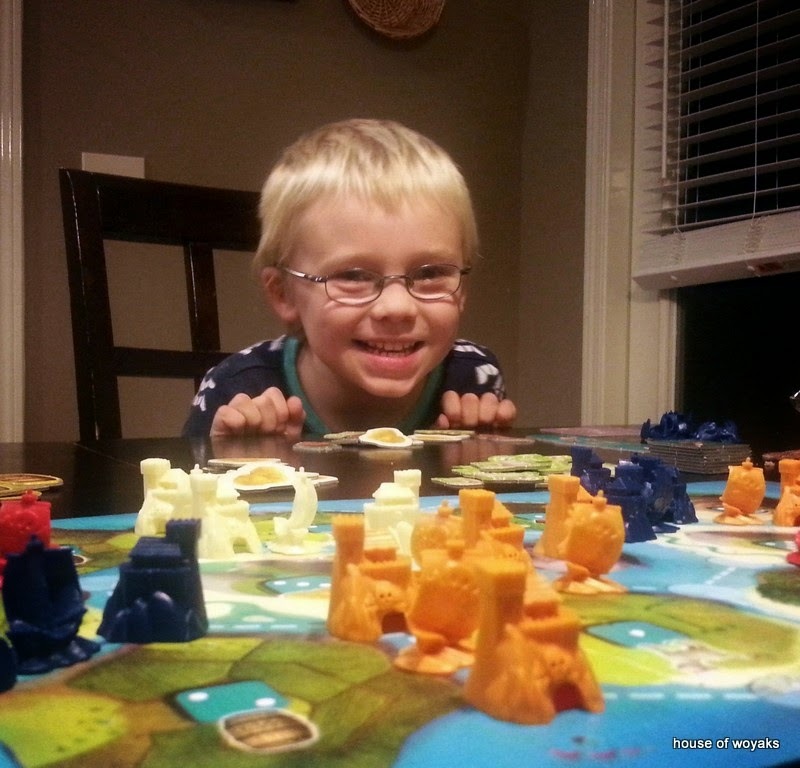 I just LOVE that our boys are loving their newest game - Catan Junior! Andrew asks to play it every day, I think. 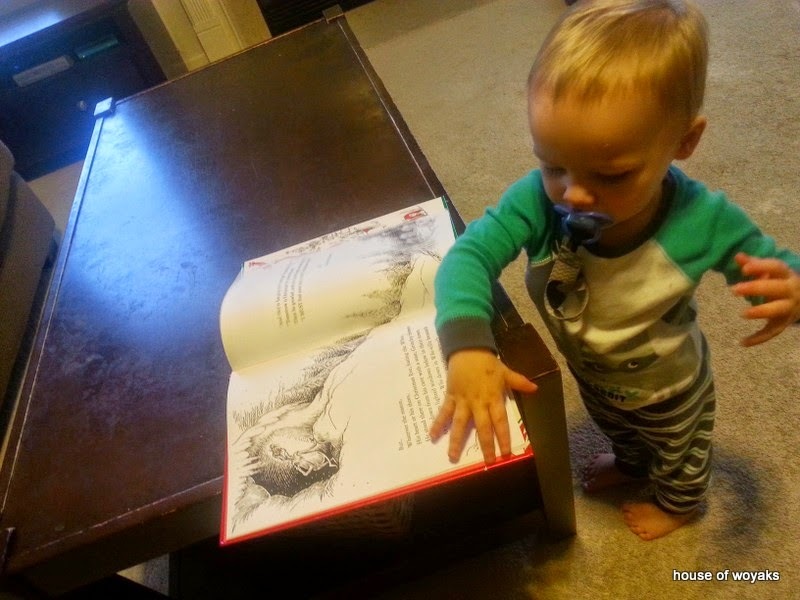 He loves that there are pirate ships and a ghost captain. Alex thinks it's awesome to get stuff when his numbers are rolled. Andrew is all about those Coco Cards (Development cards to us grown ups). 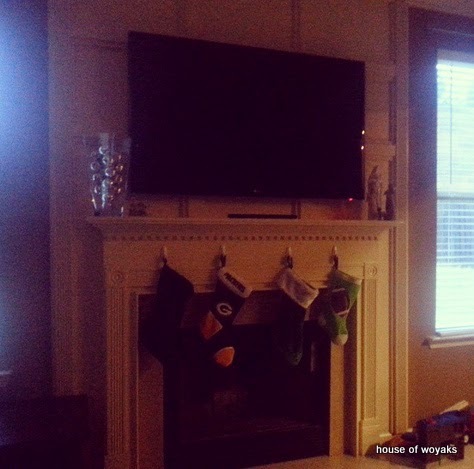 If that wasn't enough...check out what Saint Nicholas dropped off in Jason's stocking! 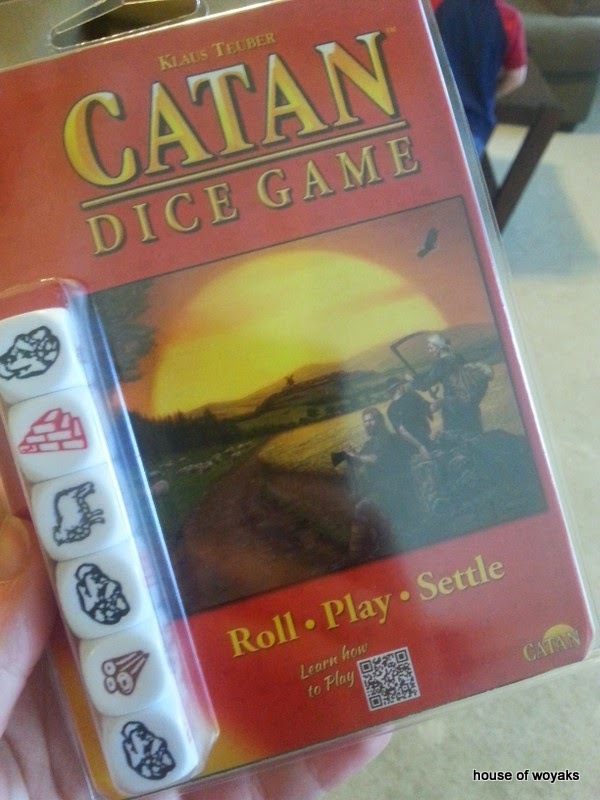 The Catan Dice Game! HA! Now Jason and I can play Catan without a 3rd person... Finally! 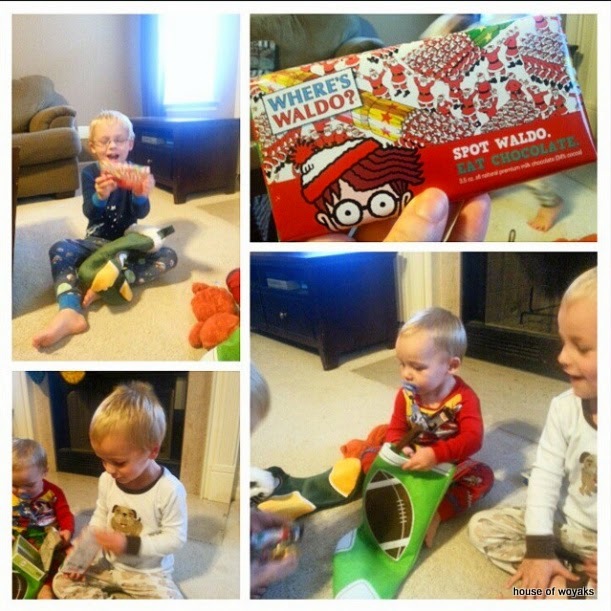 The boys each got "gold coins" to remember St. Nicholas by, along with a super cool chocolate bar that had Waldo on it!! Sweet. Austin had the "gold coins" - which he LOVES - and another Little People Wheelies car. 3. Time to put up the tree! We finally got around to putting up the tree!! 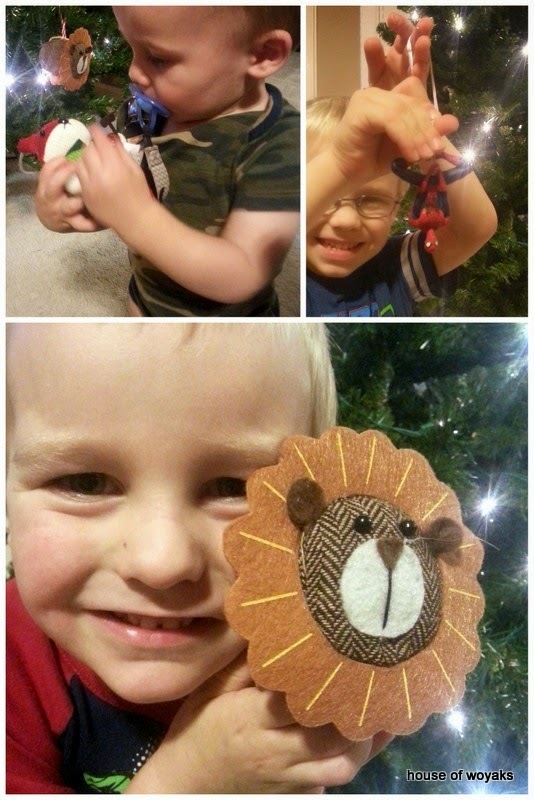 And, once again the boys picked out new ornaments this year! Yes, every year they get to pick out a new ornament. When it is time to pack up the tree, their ornaments go in their own special boxes. One day, when they have a tree of their own, these ornaments will be given to them to share with their families. At least, that is my hope! 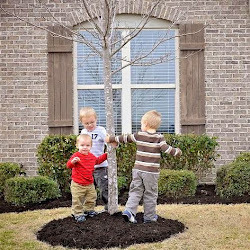 I have a few of my old ones, as does Jason, on our tree that we get to tell them about. I love bringing out all the Christmas books! We have some great ones that we decided to add to our collection and some others we picked up from the library. So far, the favorites are The Polar Express and How the Grinch Stole Christmas. I have a favorite one, but I hope to share it with you the coming weeks! 5. Rocket launches are awesome. 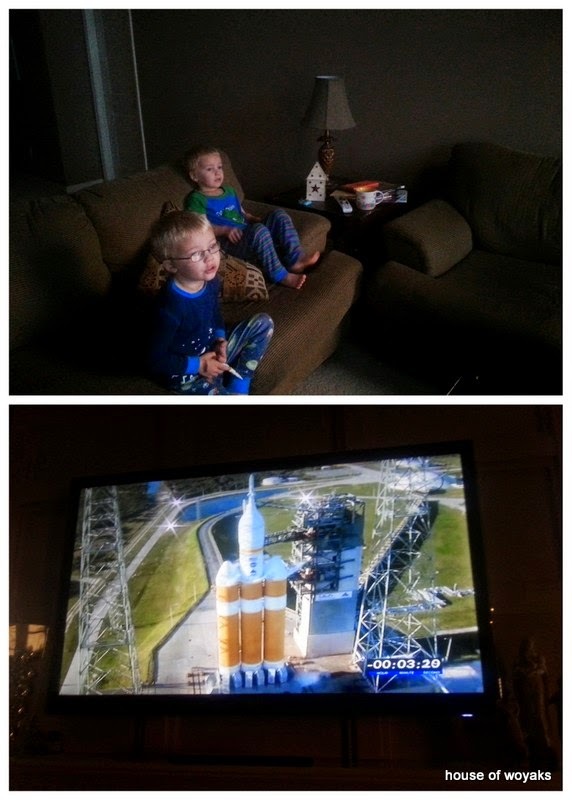 The boys still talk about the Delta rocket that went up for the Orion mission last week! I already put on the calendar the launch happening next week for Space X (next friday!). Can't wait to watch that one with them! The boys had a few great days outside, but it's been COLD mostly. You can see it in the clouds...Let's just hope there is no snow at all at any point in time found in those clouds (or any other ones). I've said it before... I LIVE IN THE SOUTH FOR A REASON!! 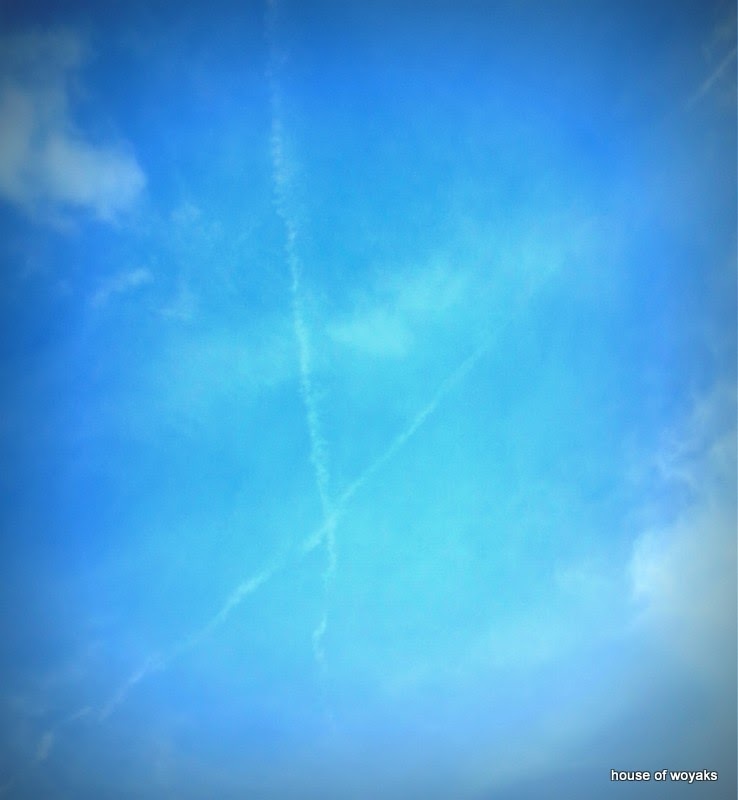 Andrew and I found an "X" in the sky that some airplanes made. He said, "That looks like a treasure map, mama." I agreed and asked what kind of treasure he thought we would find..